Are you looking for Airtel Mobile Data GPRS Plans for your prepaid or postpaid SIM? If yes, then you have reached at right place. Here, you will find official plans for mobile internet that has been launched by Airtel in Chennai. 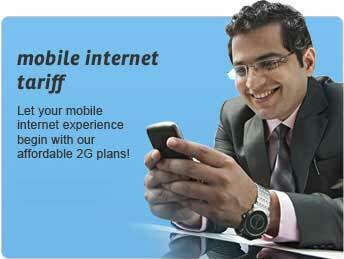 These GPRS Packs or Tariff Plans are always updated according to the updates by Airtel India. The Internet Packs for Airtel Chennai are given below. First are the data plans for Prepaid Airtel Users of Chennai and next are the data plans for Postpaid Users of Airtel Chennai. For Prepaid Users: Airtel offers various internet plans for Prepaid users of chennai. Starting from rupees 17/3days to 375/3 months. Airtel offers only one unlimited internet plan to prepaid users and that also comes under a threshold limit. *That is your downloading/uploading speed will be slow once you have completed the 2 GB data usage. Although, unlimited plan is just for 199 per month. For Postpaid Users: For postpaid users of Airtel in Chennai, there are only two options available for them. One is Rs 98 plan for 1 month with 1 GB data and the other is 149 Rs plan for one month with *Unlimited Downloading and Browsing.